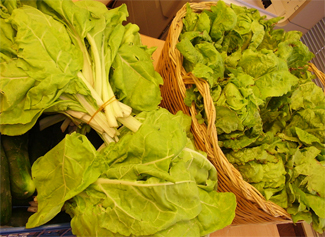 Humana Social Farming program promotes this type of agriculture and providing economic support to various Catalan organizations deemed of interest. Jesper Wohlert, Humana General Coordinator, saids: "The Foundation parts of its experience in projects of agriculture and food security in developing countries of the South to promote sustainable agricultural models in Catalonia". Participating organizations also play a social work or because they specialize in organic or because they work in the area of ??exclusion. The deadline for submission of initiatives ends on March 15. 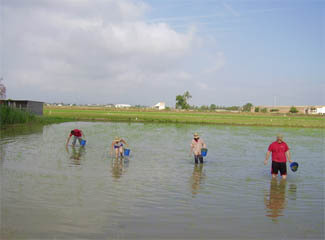 Amunt.Ebre, Deltebre area, Tarragona, was one of the selected features in the call 2012 to promote the marketing of organic products and quality by persons at risk of social exclusion. To this end, we are developing the infrastructure and resources to have a reputable brand that responds to the small farmer, that often led to market their surplus produce in a conventional manner, despite being organic products. The initiative includes, among others, the development of a bakery and marketing strategies for online sales. 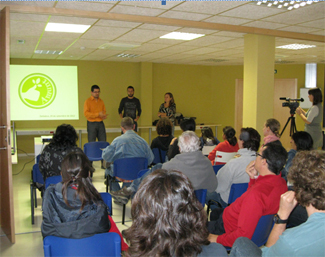 Punt Eco Agroambiental and Sant Tomas PARMO Association were also chosen in 2012 to participate in the program of social farming.